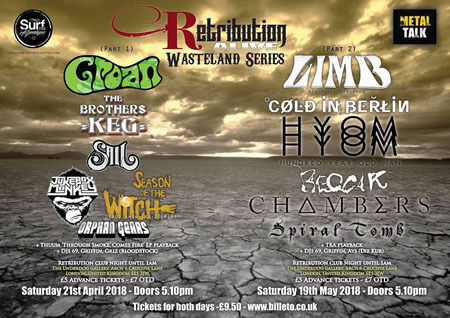 The Retribution Alive road trip continues in April as London's favourite monthly Metal event makes its way back to the Underdog Gallery in London Bridge for part one of the 'Wasteland Series', a two event celebration of everything doom, sludge, stoner, groove and everything inbetween... and beyond! Part two will also take place at the same venue on Saturday 19th May. 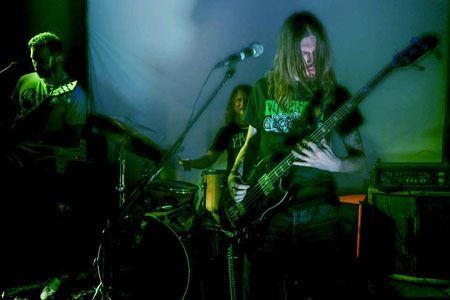 There's the infectious doom/stoner rock of the very recently returned Groan, supported by The Brothers Keg and Sail. 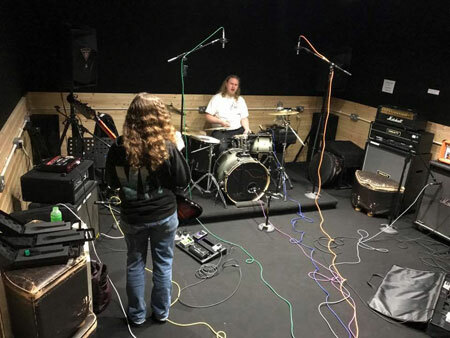 The night also sees former Zocalo members take to the stage for the first time as Season Of The Witch, as well as Jukebox Monkey and Orphan Gears. You'll also get to hear the whole 'Through Smoke, Comes Fire' EP from Thuum. The Retribution club night keeps the neighbours awake until 1.00am and £5 advance tickets are available here. £9.50 April/May 2-in-1 advance tickets are available here. So far the diverse Metalisation of Retribution Alive has breached the walls of such venues as the Intrepid Fox, Scala, The Lounge, Purple Turtle, Black Heart, The Dev, Electrowerktz, Unicorn, Nambucca, Underdog Gallery, Big Red, 12 Bar, New Cross Inn, Fiddlers Elbow, Amersham Arms, Wig & Gown, Amwell Arms, Upstairs @ The Garage, Kings Arms and the Plough & Harrow. Get along to April's edition at the Underdog Gallery this Saturday night. Here's a taster of all the bands playing this Saturday. Click here for the May Retribution event.